When people discuss business uses for drones, they tend to jump to the novelty end of the consumer market—from the drone hobbyist with a GoPro camera to a complete overhaul of delivery services. While flying pizzas grab headlines, much more is in store for drones than delivery service or aerial storytelling. By easily accessing a view from the sky, there’s a huge opportunity for modeling. And some initial industries that would benefit from real-time, drone-based modeling may surprise you—namely, agriculture and construction. Dr. Kevin Price of Kansas State University made a compelling case for agriculture drones during his presentation at the 2014 American Farm Bureau Federation Convention. 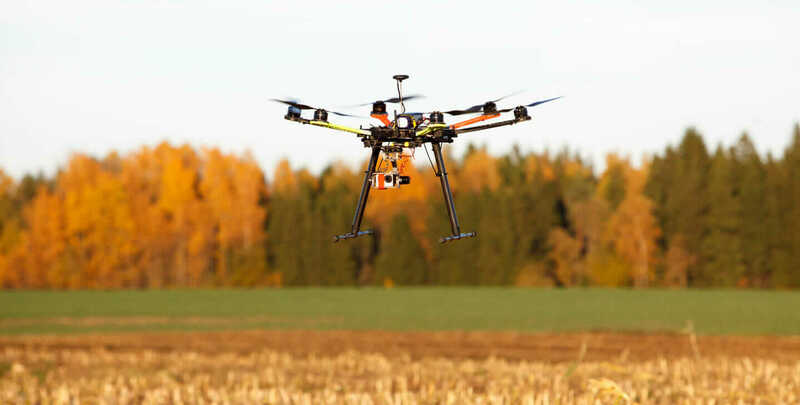 Price predicted that 80 percent of the money that will be spent on drones in the coming years would be for agricultural uses. “There are 10 times more applications in agriculture than there are in any of the other application areas,” Price says, predicting a $100 billion industry by 2025. The concept isn’t all that difficult to grasp. A drone can fly over and create a 3D map of a field, which it can compare against the Normalized Difference Vegetation Index (NDVI) for that land, as well as see elevations and a lot of other detailed information at the level where one pixel of the 3D map can represent 3cm of land. 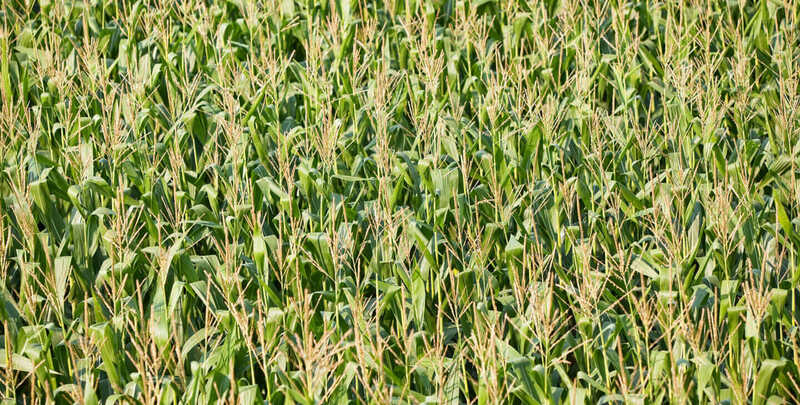 Agriculture is a risk-averse industry by design. Technology has enabled farms to be larger than ever before while employing fewer people than ever to maintain them. But this efficiency removed the ability to adjust crop protections and monitor performance. Anderson also notes that drones flying over fields could spot irrigation leaks and other trouble spots that cost the farm money, not to mention the waste of resources given the drought conditions in California. But given the current size of the farms, making proactive sweeps for these types of issues using anything but a drone is cost-prohibitive. “Drones are bringing Big Data to the biggest industries in the world,” Anderson adds. 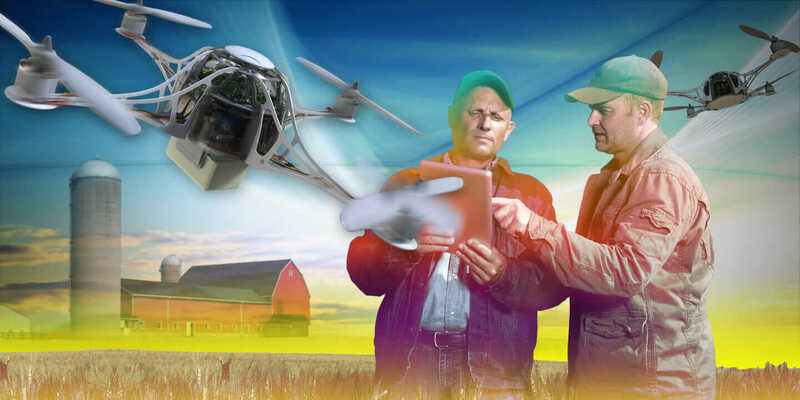 Farms also avoid many of the privacy and safety concerns associated with drones, because they would be flying over private land, under 400 feet, in unpopulated areas. At the Gigaom conference, Anderson discussed drones in construction and demonstrated a 3D map his company created of a Fry’s Electronics store in San Jose, California. With just one drone flying one circle around the building and Autodesk ReCap stitching the images together to form a 3D model, the building exterior was completely captured. According to Hanspal, the Fry’s modeling demo moves efficiency projects from speculation to immediate analysis. “With that structure, you can figure out solar-panel layout or assess how much energy that building consumes, because you have a source set of data upon which you can compute,” he says. Anderson thinks three things are required to get drones flying over every farm and construction site. 1. Drones need to be appropriate. 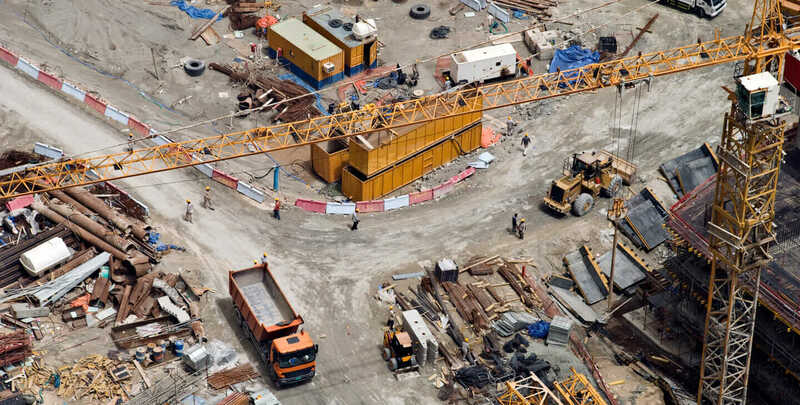 Industries avoid new equipment that requires massive training and on-site experts. They want a simple delivery method with easy deployment and instruction. Anderson sees a future of color-coded, out-of-the-box deliverables. Most industries haven’t even considered how a drone might lower risk, increase profit margins, or deliver quick ROI. 3. Drones need regulation. “Everyone thinks this is the main hurdle, but it’s not,” Anderson says. Various industries and interests are having a tug-of-war with regulators as the Federal Aviation Administration struggles to publish rules that would govern small unmanned aerial vehicle (UAV) operation for commercial purposes. Google, Amazon, and other companies are all part of the Small UAV Coalition pushing for appropriate regulation where there is commercial benefit. Anderson thinks regulations will be ironed out within the next 10 years, which gives the industry time to have the solutions lined up that build on the impressive scanning and mapping capabilities that exist today. Hanspal sees drones on the same path as robots.